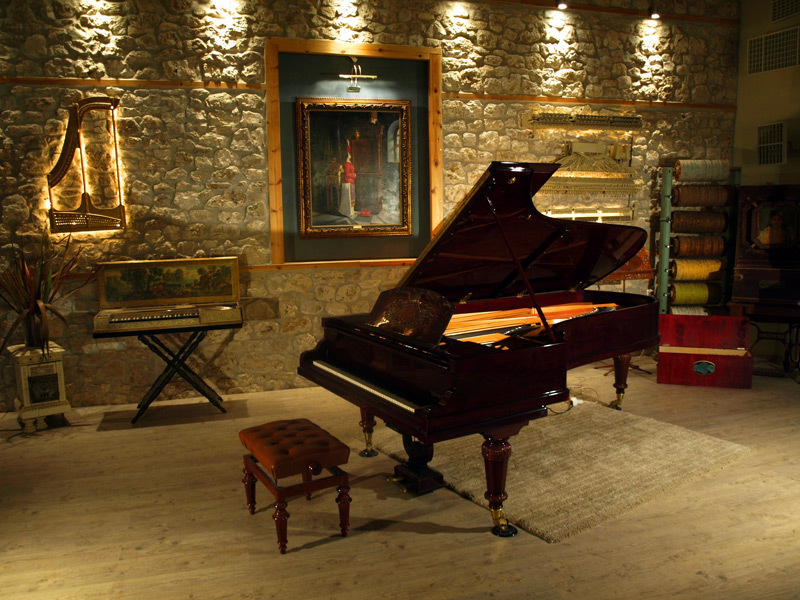 It is the only piano tailored to the hands of the artist, to the kind of music and to the desired aesthetics. 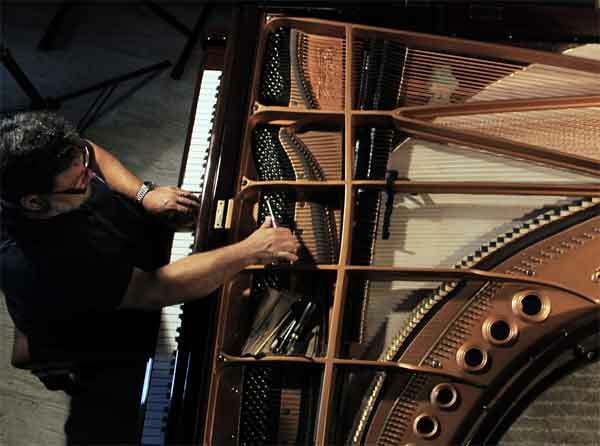 Hand built pianos are free to follow the artist’s personal preferences that will compose his own recipe for a baroque, romantic, modern, jazz, recording or stage piano. The handmade piano is built by process orientation- Wood is “live” and will respond accordingly, every step leading to the next. Thus we adjust and conform our decisions on scaling, bearing, crown, stiffness, tapering etc. In contrast, it is unthinkable to alter a single screw in a factory production line. It is produced by a handful technicians coming up to complex heterogeneous tasks. This multi-tasking environment safeguards all the links of the “chain” minimizing the risk of the weak link. There are very few workshops worldwide today producing the handmade piano and they only build two or three grand pianos a year. However we expect them to grow in numbers in the right timing to cover the growing need for high end pianos and demanding artists. 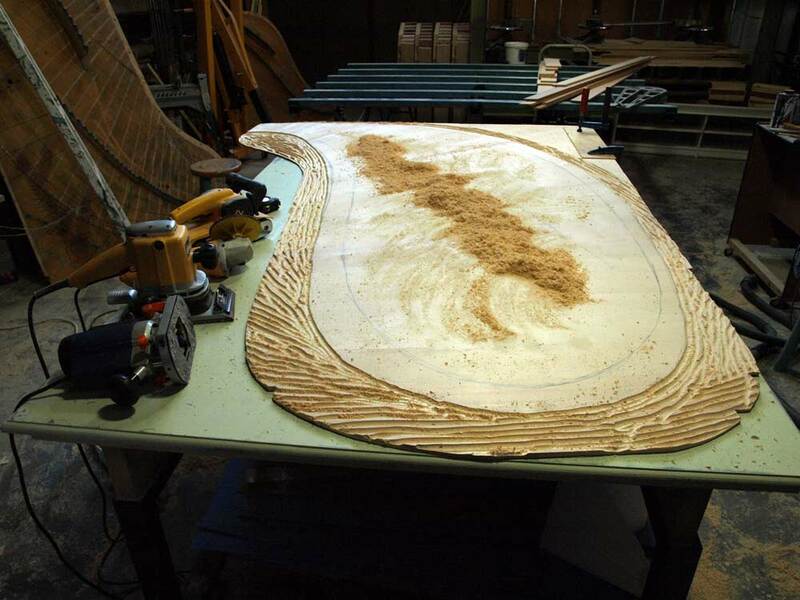 We would probably witness the same kind of instrument hunt as we see on a violinist wandering through the small handcrafting shops of Cremona, Mittenwald, Paris and New York where a single luthier painstakingly crafts a violin for a whole year. Overall handcrafting a piano is a fascinating and mystical process committing us to build this year’s piano better than last year. It draws us deeper in an unexplored world full of miracles that were never recorded and makes us solve the riddle of how mush has the piano evolved in time and whether it is still in its adolescence. Is it true that the evolution of the piano halted when it migrated from the small family shops to the large industry at the end of the 19th century and that pianos were only made faster and cheaper since. Start with a new metal frame, new rim and build the belly, the wooden frame, the soundboard and bridge, the pin block and design and assembly an action from new parts. Start with a metal frame and a rim from an old piano, all the rest being as above in number one. An old piano’s metal frame is the only part that never wears out- it only gets better in time. Casting methods and cast iron was exceptionally high quality on 50 to 150 year old fine pianos and metal rearranges and settles its internal stresses in time also increasing its stiffness. An old frame’s design always gives us plenty of design space for a new piano. The rim is reinforced and a new wooden frame is built-in. The pianos external looks are altered at will. This second choice is mostly preferred from our clients. This really is a hybrid where the piano has something of the glamour, design and shape of the old piano and we also gain by recovering some of the hidden wisdom of these exceptional craftsmen that built the original instrument. Built an exact copy- a replica of an old fine piano into a new mirror image. Old pianos age and give their best in only one generation. We were not born when most of these pianos thrived and yet we can interpolate their character and “yield” by looking at the traces they left behind and the way they have worn out. Additionally there are plenty of data (often invisible to the trained eye) that can accurately guide us to an exact replica. Furthermore we have original and historical parts available in the market today as low tension strings and soft hammers to certify the authenticity. This third choice is preferred by museums, special collectors and period artists as they are valued for their historical interest and old interesting sound and action for period composers. However they cannot be useful for contemporary piano needs as they cannot compete modern large and voluminous sound and agile and responsive action. WHAT IS A GOOD PIANO?